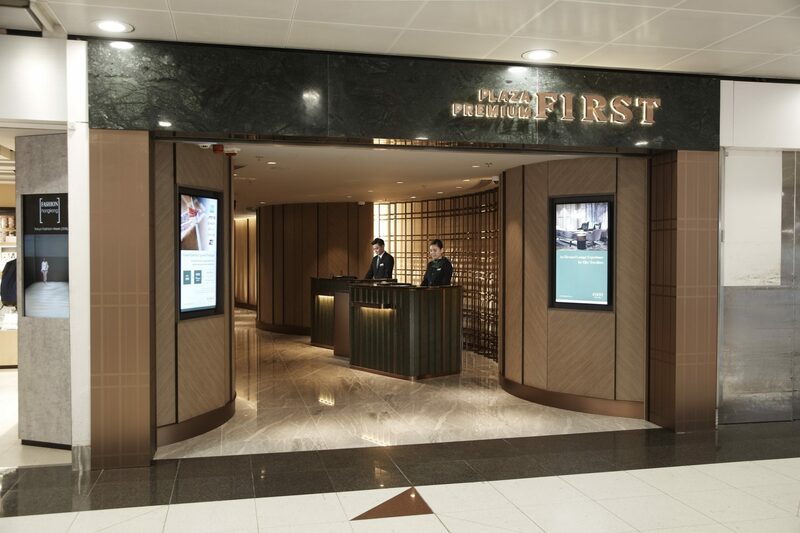 Plaza Premium’s network of pay-to-access lounges has long been a staple of international business and premium leisure travellers, either when airlines’ offerings disappoint or when travelling in premium economy. 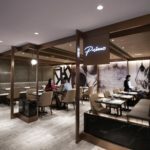 But with the opening of the new Plaza Premium First lounge in Hong Kong, the company is going upscale and aiming to take a fine-dining level bite out of the market, following the introduction of its first Plaza Premium First lounge in Kuala Lumpur’s satellite terminal late last year. 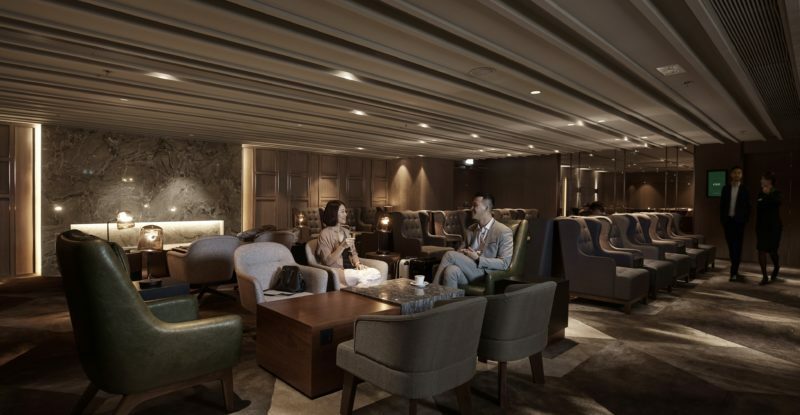 Hong Kong’s lounge offerings are improving thanks to growing competition among hometown carriers, as well as investment by international airlines in shared-use spaces. 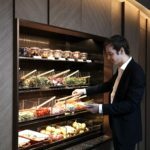 Taking a look at the promised PaxEx in the Plaza Premium first class space, just about everything seems to get a good bit of an upgrade compared with the standard Plaza Premium standard offering that regular passengers will be used to. 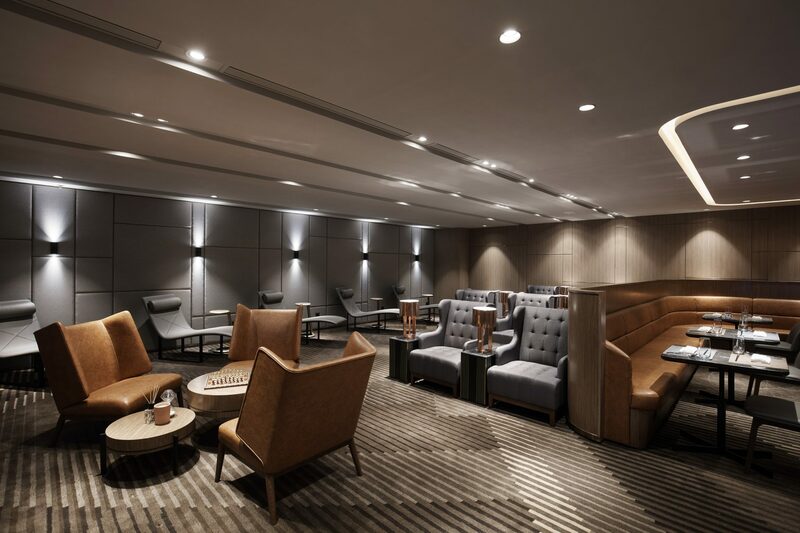 The design is complex and walks the line between calm understatement and refined flair, with a wide variety of textures in brown, tan, grey and green that make what is essentially a windowless box inside the terminal into a cosy, welcoming space. 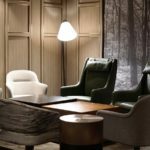 In addition to the range of lounge seating, private “Infinity Rooms” for meetings or VIP use can seat up to twenty people. 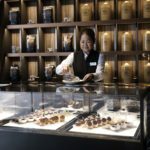 The “personalised journey” introduction and “welcome tour from a Lounge Ambassador” will appeal to some market segments, while a signature beverage (based on TWG teas) is always welcome — as is a complimentary ten minute neck and shoulder massage. 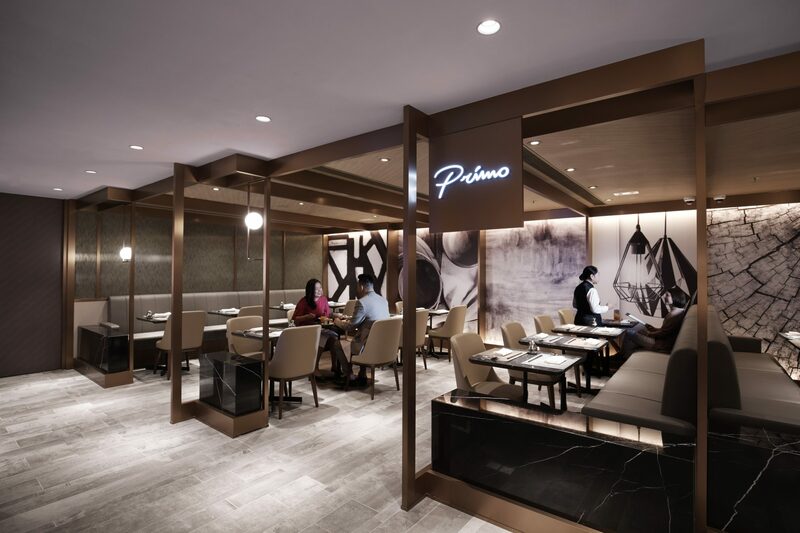 Dining options go way upscale, with an intriguing separately branded table-service restaurant called Primo offering “Maine Lobster and Capellini served with aromatic lobster velouté” and “Traditional Marinated Goose with Marinated Egg served with steamed rice. The trendy Beyond Meat burger — the meatless yet meaty subject of much sound and fury from New Zealand farmers when Air New Zealand announced plans to introduce it on two flights — also makes an appearance. The bar, too, gets a branded upgrade, with AeroBar’s signature being a selection of upmarket whiskies including Glenlivet 25 years old, Aberlour A’bunadh, Longmorn 16 years old and Scapa Glansa, together with rotating seasonal cocktails and mocktails — and a dessert bar. I do not, however, spy any of the multifunctional lounge seating-table-power combination that I’ve been calling the #LoungeHolyGrail. 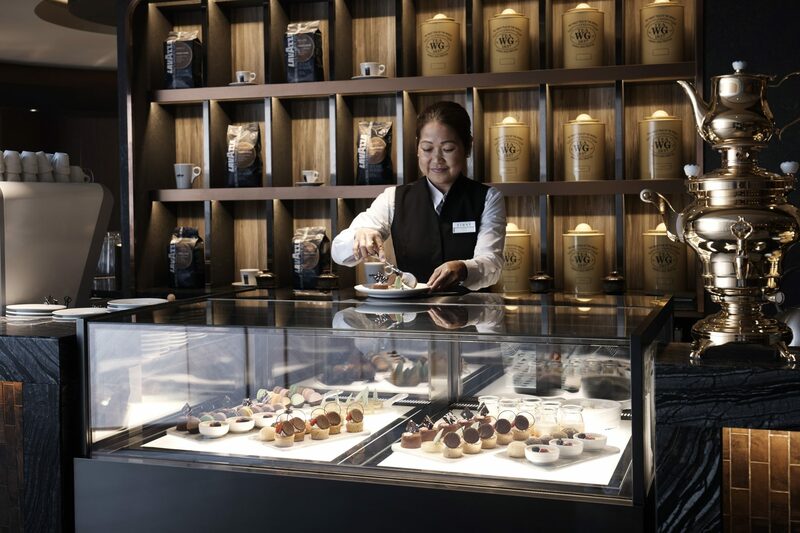 Upmarket premium travellers are no less keen to either pop onto their laptop or tablet to get things done or relax with the latest episode of their favourite Netflix show — while enjoying a whisky/mocktail/something from the dessert bar. 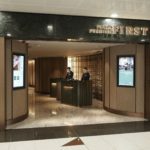 Prices start at HKD 880 (approximately US$112) for a three-hour stay, rising to HKD 1180 (some US$150) for a ten-hour layover. 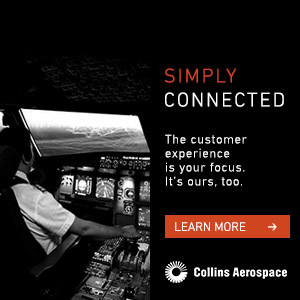 That’s about half again as much as the business class Plaza Premium lounge, but it will be worth it for many customers. 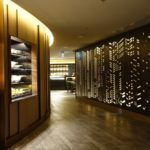 It’s been nearly a decade and a half since I first used a Plaza Premium lounge, and to say that the new Plaza Premium First is an upgrade on that experience doesn’t do justice to the obvious investment and PaxEx innovation that the company has been working on. 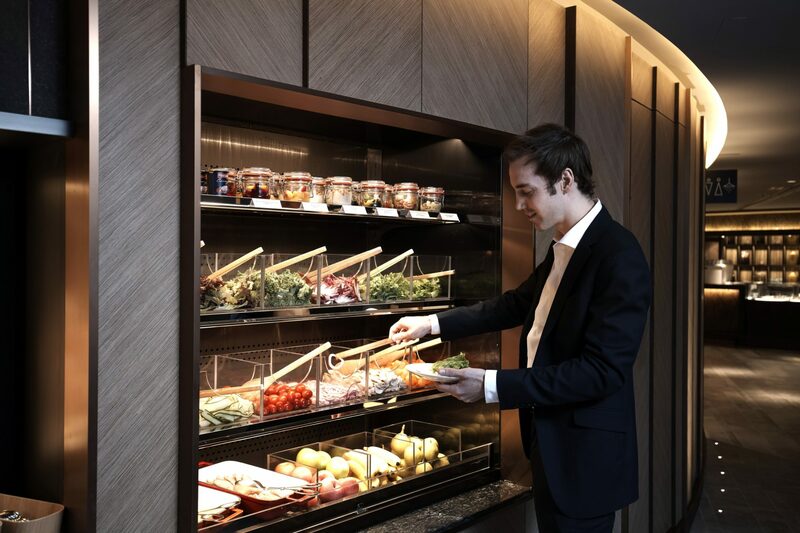 With airlines also looking to differentiate their various lounge offerings as first class disappears, Plaza Premium’s is an intriguing alternative proposal.